Creativity hinges on churning as many ideas out as possible — then taking a break | "Being creative is as simple as letting yourself come up with ideas — and then walking away for a while." The Difference Between Art and Design | "Art and design – both involve compositions, using physical and visual means. Both share a base of knowledge and skill. Both involve applying imagination and creativity to the concepts they address. And yet they are not the same – obviously, you might think, of course, they are not the same. Difference between art and design is a continuing debate – So, Is there a difference?" 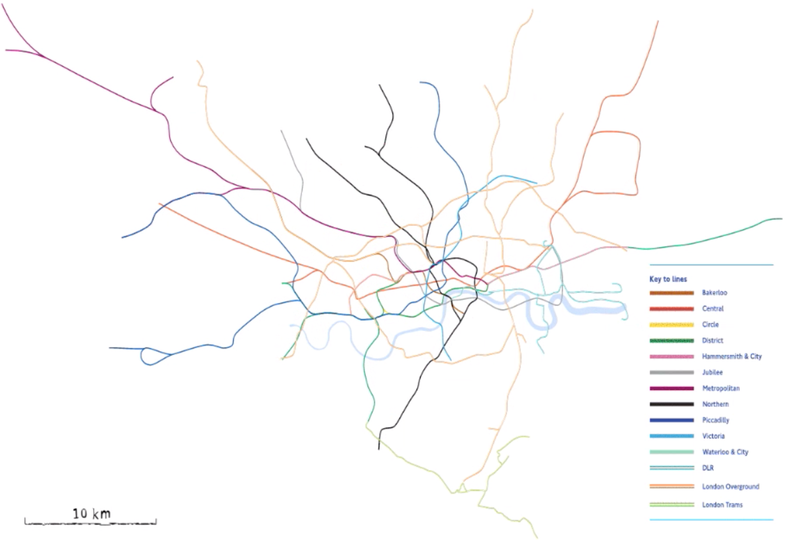 Comparison between the London Tube map and its real geography | "Created as an svg animation using d3, converted to a series of images using node + puppeteer/chrome and assembled to a gif using imagemagick." Mistakes, we’ve drawn a few | "Learning from our errors in data visualisation." The Importance Of Color In Data Visualizations | "Applying color to different parts of your visualization lets you tell a more effective story, one that engages your audience at an emotional level and captures their attention quickly." "They hired a new valet guy at my dad's office park." An Actionable Guide to Visual Storytelling | "15 Tools, Techniques and Examples to Help Cut Through the Noise..."
The Online Icons That Didn't Survive the Web's First 30 Years | "As March draws to close, so does our celebration of the World Wide Web’s 30th birthday, making it as good a time as ever to take a look back at some the features and formats that bit the dust along the way." What actually is the dial up internet noise? | "Everything you need to know about the acoustic modem handshake can be found here on this map." 36 Hours in St. Louis | "The city, with its once-quiet, now-vibrant downtown, offers new restaurants, microbreweries and a rich array of cultural venues, including a museum that pays tribute to the blues."